The plan calls for the state to eventually provide drugs to 13,000 inmates, at a cost of as much as $252 million, to reduce craving and euphoria while weaning them off opioids. Sacramento: A federal official who controls medical care in California prisons wants as much as a quarter-billion dollars a year to provide medication intended to ease a record increase of fatal drug overdoses among inmates. The plan that Clark Kelso released to The Associated Press on Thursday calls for the state to eventually provide drugs to 13,000 inmates, at a cost of as much as $252 million, to reduce craving and euphoria while weaning them off opioids. It’s the latest in years of attempts to stem overdoses that killed a record 39 California inmates last year. Eight of every 10 California inmates is estimated to have a substance abuse disorder and about 33,000 are addicted to opioids, according to a report by Kelso’s office. Don Specter, an attorney for inmates, says Kelso’s proposal would be the nation’s most comprehensive program aimed at addiction among inmates. Kelso could seek a federal court order requiring the state to spend the money but instead expects to request it from the governor and Legislature next year to expand an existing medication-assisted treatment program. Democratic state Sen. Jim Beall of San Jose, who sits on a corrections budget oversight committee, has long pressured Kelso to add medication-assisted drug treatment. Prison officials began treating 60 inmates with medication in addition to counselling in 2016 at Beall’s urging. Preliminary results found less need for higher levels of medical and mental health care, and no positive tests for drugs or opioids. “If it’s going to cost that much that shows you how big of a problem that we have,” Beall said of the expanded program. He said the cost would be offset by safer prisons, fewer drug-smuggling gangs, and fewer addicted inmates cycling back to communities. “You can almost guarantee that those people are going to commit more crimes and come back into prison if they’re addicted,” Beall said. As a federal receiver, Kelso oversees medical care in California prisons as part of federal court takeover prompted by poor inmate health care. The state has spent tens of millions of dollars on past efforts to stem inmate overdoses, ranging from treatment programs to smuggling prevention. Still, the prison overdose death rate has increased in the past decade. It’s likely higher than other states, though it’s hard to compare directly, said Liz Gransee, a spokeswoman for the receiver’s office. “I’m not opposed to treatment and maybe it does some good, but I would think the first priority should be interdiction” to stop the flow of drugs into prisons, said Kent Scheidegger, legal director at the Criminal Justice Legal Foundation which represents crime victims. The problem calls for “a radically different and expanded approach,” Kelso wrote about a report by his office that lays out the program and estimates its costs. Detailed planning will now take four to six months, he wrote. Last year’s 39 drug overdose deaths eclipsed the 29 deaths in 2016. Such deaths have jumped 160 per cent since 2014, while hospitalizations have increased by more than half. 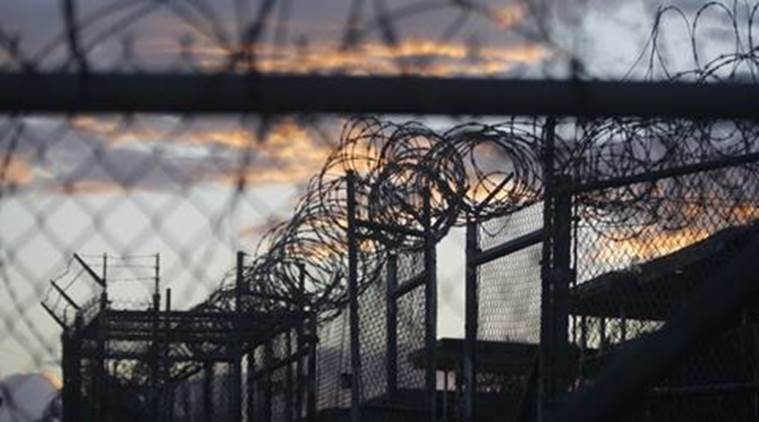 “People are dying in prison at an alarming rate,” Specter said. His firm is part of the ongoing lawsuit over poor inmate health care that resulted in a federal court takeover of California’s prison medical system in 2005. Along with medication, the cost of Kelso’s program includes about 183 nurses and social workers at all 35 state prisons, testing, equipment and training. The medications proposed for use are buprenorphine or naltrexone. The state already spends nearly $150 million to offer drug counselling in every prison, but the treatment lasts just five months and is available to fewer than 12,000 inmates each year. Rhode Island offers medication-assisted treatment, but California’s overall program would be more comprehensive.